Go Air is under heavy scrutiny as an incident investigation reveals a lack of training and silly mistakes by their flight crew. Go Air is the fifth largest airline in India, with 27 destinations and 47 planes in their fleet. On the 21st of June, 2017, a Go Air Airbus A320 was taking off on the runway in Delhi bound for Mumbai when they had a bird strike the right-hand engine power plant. The below information is from the incident report. This caused the engine to vibrate heavily (perhaps a sign of lose items now freely spinning rapidly around inside) and alert the cockpit. The first officer, however, did not inform the captain. The captain of the plane then decided to continue ascending and assess once at cruising speed. As the problems continued to cascade, this caused the right engine to slow and not provide as much thrust as the left engine. It was at this point that the first officer misinterpreted the engine speed warning as a vibration warning, then informed the captain that the left-hand engine had in fact suffered problems from the strike. The captain then decided to incorrectly shut down the left-hand engine, and climb for another three minutes with the broken right-hand engine. They had to increase the thrust of the right-hand engine to compensate, which made the problems even worse. Despite the captain asking for the first officer to double check, the first officer was insistent that it was the left-hand engine that was the problem. Eventually, it seems that captain realized the mistake and alerted air traffic control of their situation. They leveled off at 3,300 feet and informed the cabin crew. They then had to put the right-hand engine on idle and then restart the left-hand engine. This resulted in a fault and to maintain altitude they had to continue to pump power into the broken right-hand engine. This caused the plane to stall, lose power and to calmly descend to approx 2,800 feet until the pilots could regain control and correctly start the left-hand engine. The right-hand engine at this point was switched off. The plane then attempted to land back at Delhi airport but their approach was too steep and had to go around. They landed on their second attempt and there were no injuries. What did the pilots do wrong? Whilst at first glance it seems like that the pilots just made a simple mistake, but actually, the findings reveal something far more serious. The flight crew did not refer to the reference sheet when they noticed that the engine was vibrating (A booklet that indicates what to do with each warning scenario). The captain did not double check the first officer’s findings and when in doubt, allowed his subordinates judgment over his own. The first officer was unable to correctly identify the correct warning nor the correct engine. As a plane only has two engines you would imagine this would be a rather simple task. As this author is not a pilot themselves, it might seem a little harsh on these two human beings, but when they are responsible for passengers on board, things that seem like silly mistakes become a lot more serious. When will you ever get it right man? 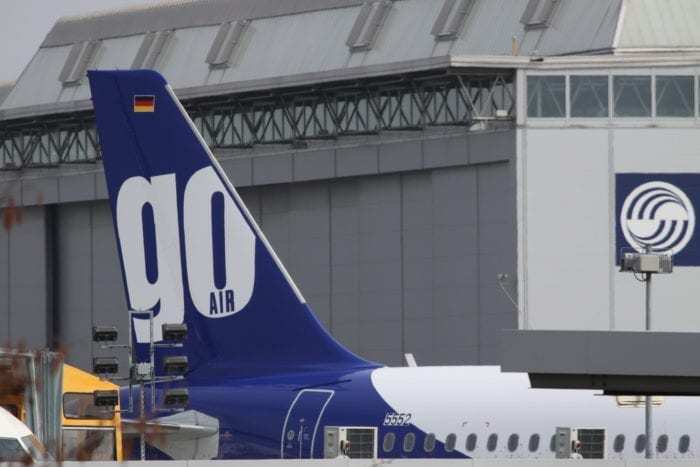 Go Air (sic) is spelled GoAir – as in one word but with a capital “A”. Pan Am is two words (not Panam as you have so written before). Do come along, really man. You ought to be relived of your post at Simple Flying. Addition, grammar and factual errors abound in nearly EVERY article you write.